Joh, Tara, Adam, Graham, Jason and Ed team up to transform three neighbouring houses. Karen makes roasted fish with green olives and spiced rice pilaf. Dr Harry meets a woman with over 500 chickens. 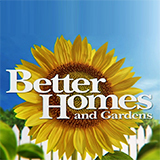 Better Homes and Gardens was broadcast on Seven at Friday 7 September 2018, 01:17.